Earlier today my friend Kaitlen sent me a link to a dress that she was confident I would love…and she was right. Erin who blogs about her sewing projects on A Dress a Day just put up this amazing and adorable gaming themed dress. 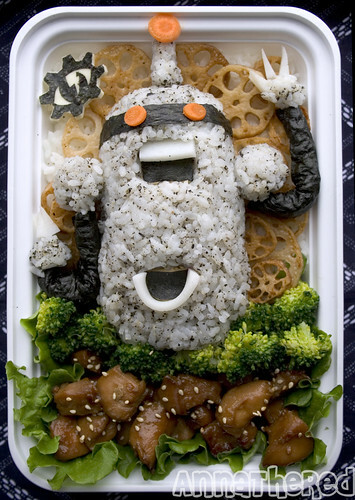 How adorable is it? I love the 50s cut of the dress and the simple yet beautiful Tetris pattern. This is certainly not Erin’s first geeky chic masterpiece, many of you will remember her adorable Darth Vader Dress. I think its apparent by now that we here at Domestic Geek LOVE Tetris. See Exhibits A, B, C and D. Well now we have another item to add to our growing list of awesomely geeky domestic products. 25 year old French artist Stephanie Choplin is an Industrial Design student working on her Master’s degree. Her work is clean and practical with a modern twist. Unfortunately it doesnt look like any of it is for sale as of yet, but hopefully Ms Choplin’s beautiful creations will be gracing store shelves sooner than later. Be sure to check out all of her work on her website. For a while now Ive been wanting to make a Tetris scarf but have been too lazy to chart up a pattern and also have been stumped on how to make it look good from the front and back since Intarnsia knitting looks a mess from behind. Low and behold, someone on Craftster solved the problem with a simple solution….making it double sided. The woman made the pattern and had her mom knit it up and unfortunately she doesnt seem to have posted the pattern, but another poster linked to a Tetris chart for making a baby blanket that you could easily adapt into a scarf. You can download that here. Here you can see how wide the scarf is before its doubled over. A great way to make the scarf visually appealing from all sides! Im always talking about how its easy to find geeky game themed baked goods, but its rare to find savor geekness. 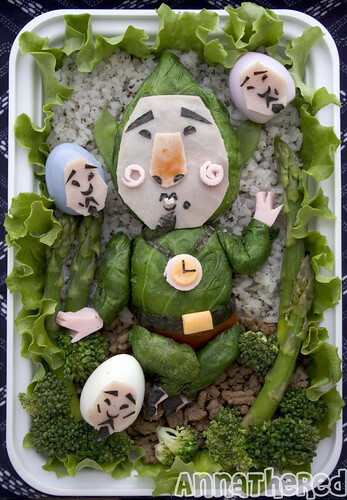 Well one clever foodie has mastered the art of geeky savory foods in a very classic and fun way…bento boxes! 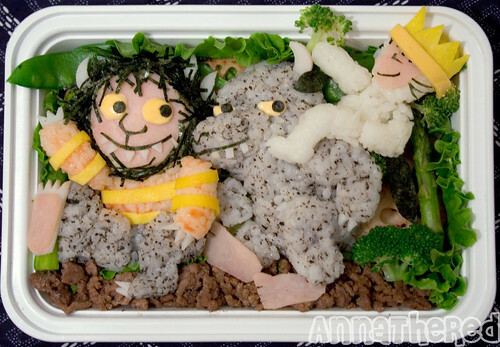 Im sure many of have heard of her but for those that havent,AnnaTheRed of Anna The Red’s Bento Boxes has an amazing blog where she not only displays her creations but also her sketches and describes the process of creating her culinary masterpieces. She does everything from video games, to anime, to comics and everything in between. Here are a few of my favorites. And you know whats awesome? These are all just from the first two pages on blog posts! 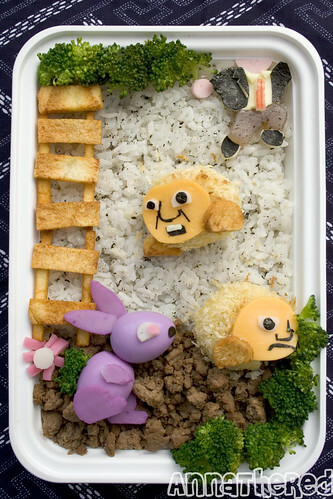 This girl is a bento genius! Shes definitely giving me some inspiration for my own. Ok so my friend Patrick Klepek just pointed me in the direction of the most awesome ice cube tray ever. 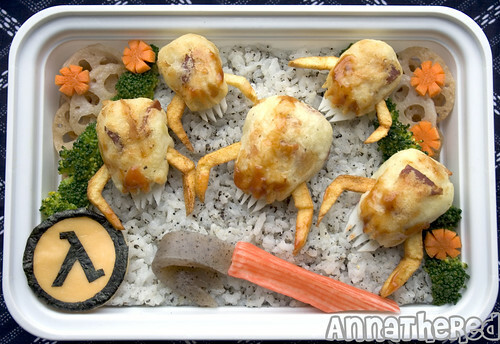 Ok, I know I find a new awesome ice cube tray every other month but seriously this one is amazing. This one actually tops the Tetris Ice Cube tray in terms of awesomeness and geekyness. 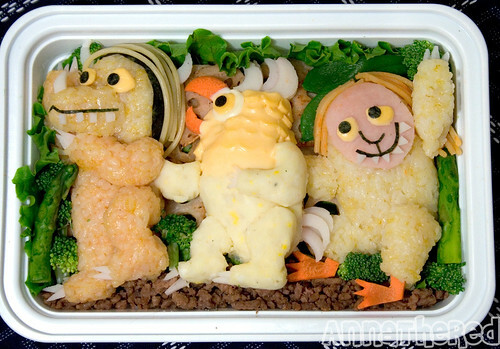 The tray is a durable silicon tray that allows you to make 4 different pixely aliens from the classic Taito game which is one of the most successful and beloved games of all time. At a mere $7.50 how can you not buy it? Mmmm whiskey and pixels….a match made in heaven. I guess Friday should just be Cupcake Day from now on! 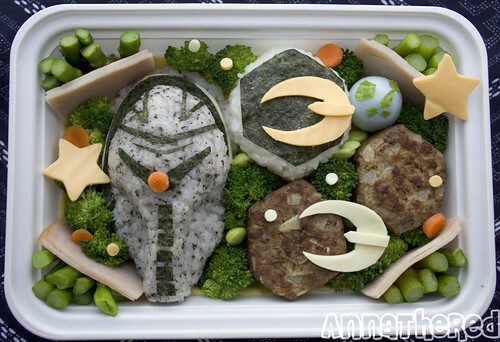 Snack or Die has posted yes another geeky confection and even though Im not a WoW fan I still appreciate the awesomeness in this one. Mostly due to the use of fondant which I have yet to try myself. 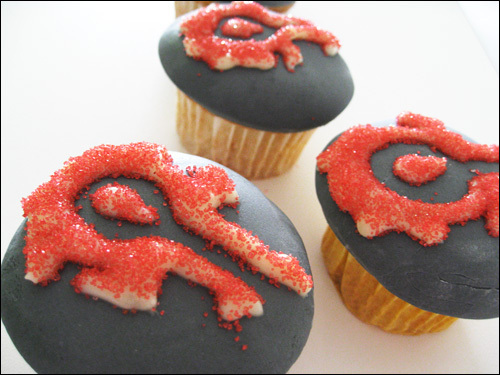 As usual there are step by step instructions to make your own horde of Horde Cupcakes (har har). Enjoy! Thats it, I can retire from blogging now because the greatest geeky domestic tool has been invented. From domestic goody guru Fred comes heat handling silicone mitts that will satisfy your inner geek while you cook. Best of all is that inside the mitts they are textured with a Pac-Man course for texture and extra geekness. These babies launch in mid-April for a steal at $15 a pop.